Just Genesis : How Big Was Noah's Flood? How Big Was Noah's Flood? 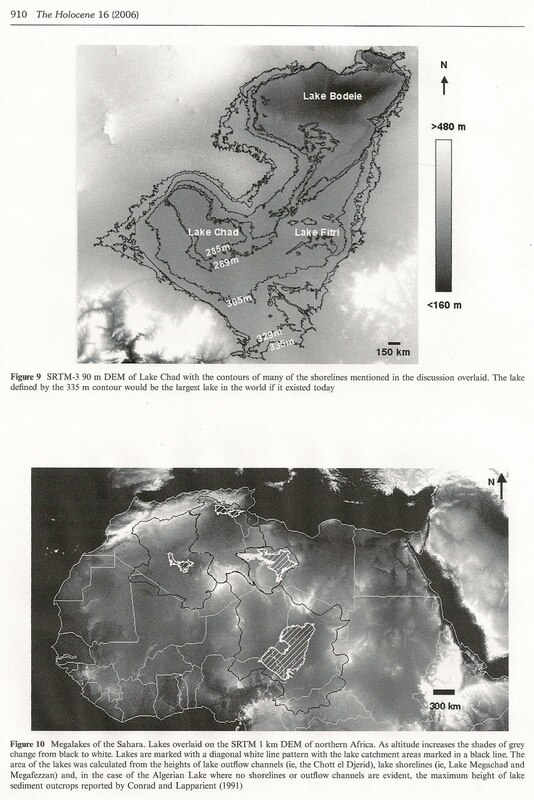 Lake Chad was a giant lake known as Lake Mega-Chad with an area of 249,000 miles (400,000 km). At its maximum extent it was larger than any lake that exists on earth today. Around 7500-6950 BC it was 586 feet deep. and the Yobe River Basin. that connected Kain, Nok (Enock) and Noah. 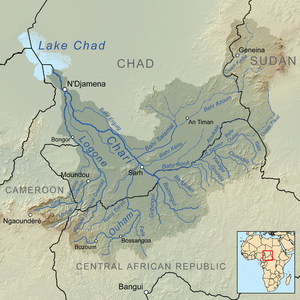 The Chari River in the south flowed into Lake Chad (as it does today) and there were waves driven by continental trade winds. Two distinct episodes have been identified in which the boundaires of the Lake expanded. These correspond to lower and middle Holocene phases of wetter conditions in central and northern Africa. Noah lived around 2490-2415 BC when the Sahara experienced a wet period (Karl W. Butzer 1966). This is the period of the Old Kingdom. There appears to have been a connection between Lake Mega-Chad and the Bahr Al-Ghazal which flows into Lake No (Noah's Lake) in Sudan and from there flows eastward as the White Nile (Bahr al-Abyad). Around 4000 BC, the Horite city of Nekhen was along the Nile (in Sudan) and Lake Mega-Chad had split into three separate lakes: Lake Chad, Lake Fitri and Lake Bodele.